I want control ATV320 inverter through MODBUS protocol. 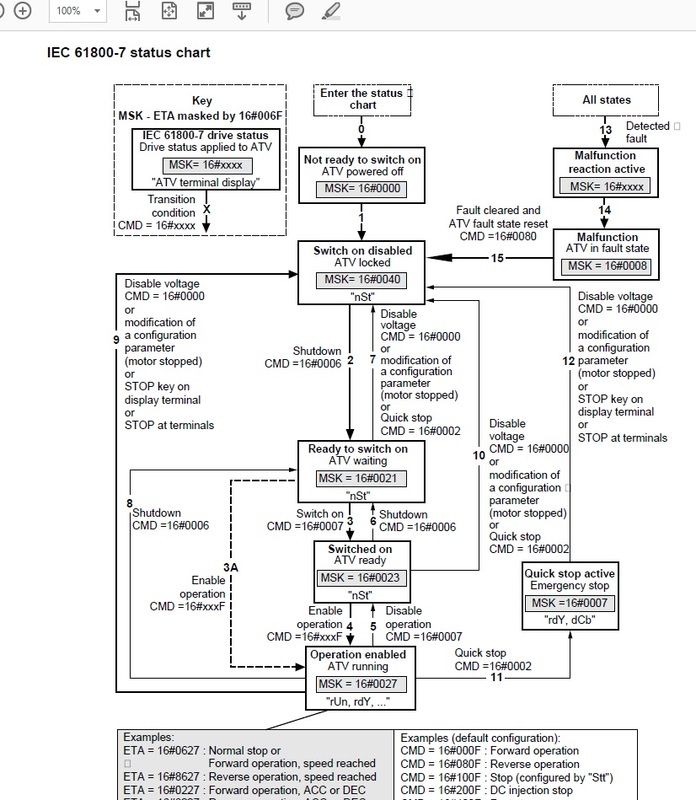 I found, that ATV312 inverter have IEC 61800-7 status chart. I attached picture. I want to ask, maybe ATV320 inverter have same IEC 61800-7 status chart and where need find it. Yesterday I try to find all evening, but don't successful. Somebody could help to me.